Welcome to a new way of learning. From workshops to local meetups, our learning experiences are designed to be a welcoming environment where you can learn in a social and collaborative way. At Canada Learning Code, we have a program for every stage in your learning journey. Dip your toes in by reading a blog post, or dive right in with a hands-on workshop! Enter your location and learning goals, and we’ll help you find the perfect in-person experience! Browse our blog to find “I’ve been there” insights, workshop reviews, and inspiring learner stories! Take part in your local Chapter! Learning is always better together. Get to know the members of your local Chapter community! Have you already attended a workshop? Here are a few ways to keep your learning journey going! Keep your new skills sharp by learning a new topic, taking a level two session, or polishing your workshop project at a meetup event! 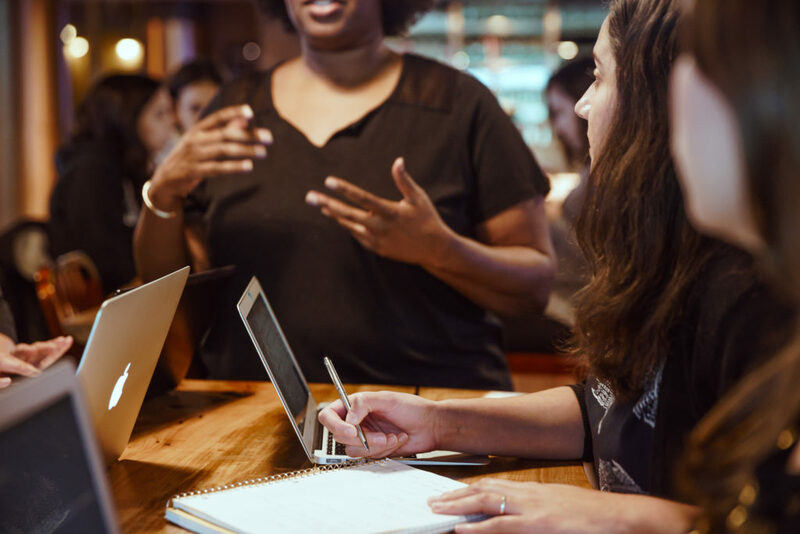 Have you attended a Ladies Learning Code workshop and want to stay connected with other learners and mentors? Join our community group and be a part of the conversation! You don’t need to be an expert to nurture the spark of passion in another learner. Learn more about volunteer opportunities at your local Chapter! 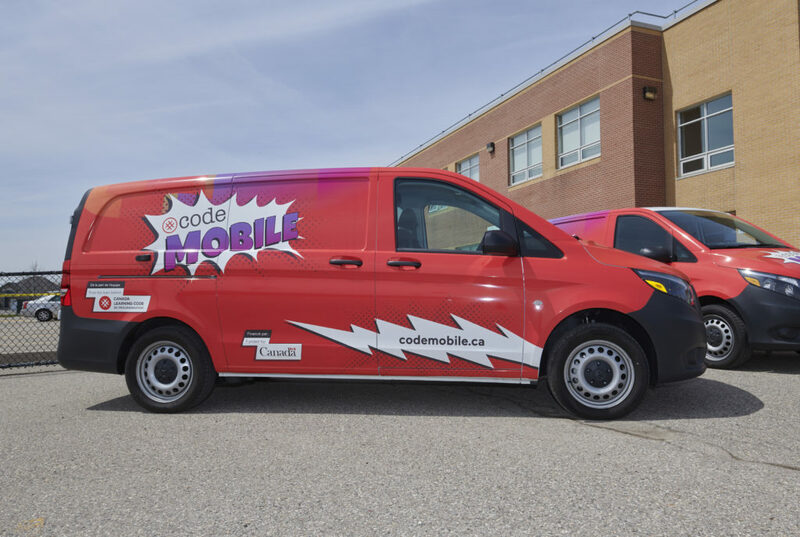 Each Code Mobile is powered by a regional Code Squad whose mission is to put technology in the hands of Canadian youth who may not otherwise have the experience. From girls to newcomers to Indigenous youth to young Canadians with disabilities, we want to give all Canadian youth the chance to build, and not just consume, technology. Whether you’re looking to upgrade your skills to level-up at work, make a career switch, start your own business, or just want to learn something new, our part-time 7-week Digital Skills program has something for you. Featuring the same hands-on, social, and collaborative learning approach that has made Ladies Learning Code so popular, this program offers you the opportunity to learn directly from industry leading designers and developers.